Autoshows have always been important to car manufacturers as they can advertise and introduce their new products in front of big masses and potential buyers. The Frankfurt, Brussels, Geneva, London, Birmingham car shows have been a fixture on the calendar of car enthusiasts and journalists for some years. A relatively fresh addition to the list, the Vienna Autoshow has been trying to join the scene for some time. With our visit to the 2019 edition of the Vienna Autoshow, we have absolutely no doubt that it is on course for becoming one of the most defining car exhibitons in Europe in the near future. The Vienna Autoshow was a four-day event, held from 10th January to 13th January 2019 at the Reed Messe Wien in Vienna, Austria. This event showcased products in many classes and departments of the automotive industry. 40 car marques presented a total of 400 new cars over four days. With over 150000 people, the exhibition saw a record number of visitors this year, highlighting the fact that the Vienna Autoshow is gaining ground among the international car shows. Norbert Hofer, Minister for Transport, is proud of Austria’s car industry which provides 450000 people with workplace and generates EUR 30 billion of added value. 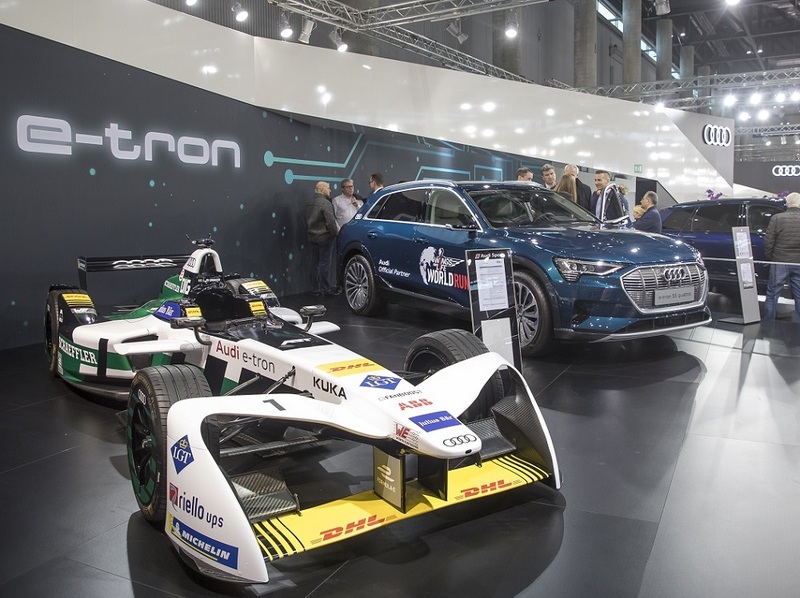 The Vienna Autoshow strived to showcase the diversity of mobility of the future with special focus on the autonomous driving, the e-mobility and further research regarding compact cars and alternative fuels. A special area was dedicated to the e-mobility. Among the car marques were Abarth, Alfa Romeo, Alpine, Audi, Bentley, BMW, Citroen, Cupra, Dacia, Dodge, DS, Ferrari, Fiat, Ford, Honda, Hyundai, Jeep, Kia, Lamborghini, Lexus, Mini, Mitsubishi, Opel, Peugeot, Porsche, Renault, Seat, Skoda, Smart, Ssang Yong, Subaru, Suzuki, Tesla, Toyota, Volkswagen, ZhiDou. Ferrari secured a relatively small floorspace, but it installed a luxurious setting. Only invited guests could enter the glamourous stand, but its line-up of the 488 GTB, Porofino and GTC4 Lusso enticed huge amounts during the four days of the exhibition. The Italian marque maintained its secrecy and intactness, but it is what it has always made the Maranello-based company something special. Honda and Alfa Romeo pleased the hunger of racing fans. 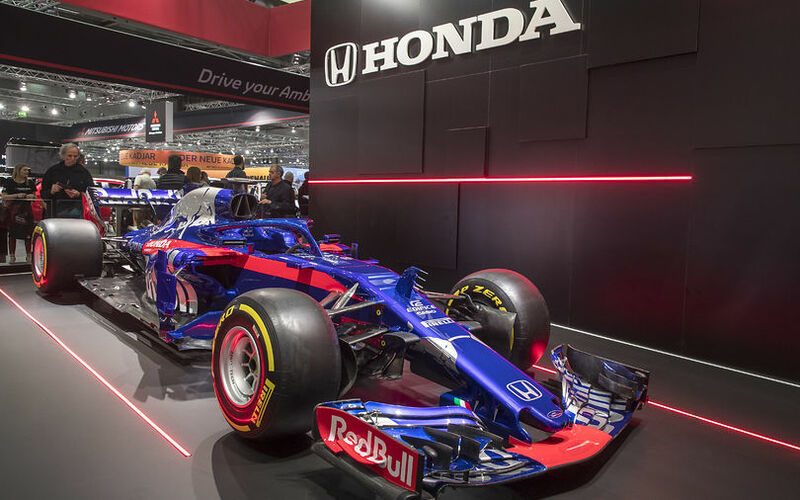 The Japanese car maker presented the the Toro Rosso Honda STR13, the first car of the Japanese-Italian cooperation which raced in the 2018 Formula One World Championship and ended the year on the ninth position with 33 points collected in total. Alfa Romeo’s line-up of its Stelvio, Giulia and Giulietta was strenghtened by the Formula One machine of the Sauber Alfa Romeo team. This was the first F1 machine in which Alfa Romeo was involved as a constuctor since 1951. The Italian marque dominated the first two years of the Formula One Chamipnship, but retired from it at the end of 1951 to only return as engine supplier for the Brabham, Ligier and Osella teams later on. The Sauber-Alfa Romeo C37 was one of the highlights of the car show, enticing race fans probably even more after it was announced that the former Ferrari champion Kimi Räikkönen would (re)join the Swiss-Italian outfit for the 2019 season. Small, smart and fully electric. The new car marque ZhiDou is a brand-new electric mini car from China. The tiny machine intends to mount a challenge on Smart’s long-standing dominance in the deparment of mini cars. It has been available in Austria since Summer of 2018 and can be bought at a price of EUR 20000 which makes it one of the cheapest electic cars. All models, D2, D2S and D3S are environment-friendly and involve low running costs. BMW’s Mini brand enjoyed a separate section in the Vienna Autoshow. The company was founded by constructor and racing driver John Cooper in England. Because of the lack of energy at that time, the compact car quickly earned success. The Mini cars of different eras formed a time travel through the history of the marque, beginning with the very first Mini which was a kind of sensation at its time. The time travel ended in the future with the Mini Electric, the first every fully electric car of the marque which will conquer the streets later on in 2019. Smart could not be missed from the Vienna Autoshow. The company with its small, compact vehicles was housed on its parent company Mercedes’ stand. The comany founded back in 1994 was present with three models: EQ fortwo Coupe, fortwo Cabrio and forfour. The EQ name stands for electric intelligence wich the company wants to break into the world of the electromobility.with. The EQ fortwo is equipped with the most modern connected-car-technologies, making the Smart vehicle more intelligent than before, and its acceleration from 0 kph to 60 kph within 4.9 secods makes the driving experience more enjoyable. The Böblingen-based company is the only car manufacturer in the entire world which offers its whole model range both with internal combustion engine and with electric drive. The in Europe still relatively new car maker SsangYong made a good impression on the giant car exhibition. Outside Europe, it is not a new company, of course. As a subsidiary of Indian multinational automotive company Mahindra & Mahindra Limited, it is the fourth largest South Korea-based automobile manufacturer and is present worldwide except North America. The 64-year-old carmaker presented five models at the autoshow of which Rexton Sports was definitely the most popular. The pick-up is equipped with a series of modern technologies (Xenon headlights, 7”-TFT-LCD display, electronically controlled sunroof, but it is only to be purchased with a diesel engine. In terms of floorspace, Volkswagen dominated the proceedings. The German manufacturer mounted an offensive with a line-up of uncountable models. The most outstanding section of that was the I.D. familiy of the Wolfsburg-based company. The Volkswagen I.D. 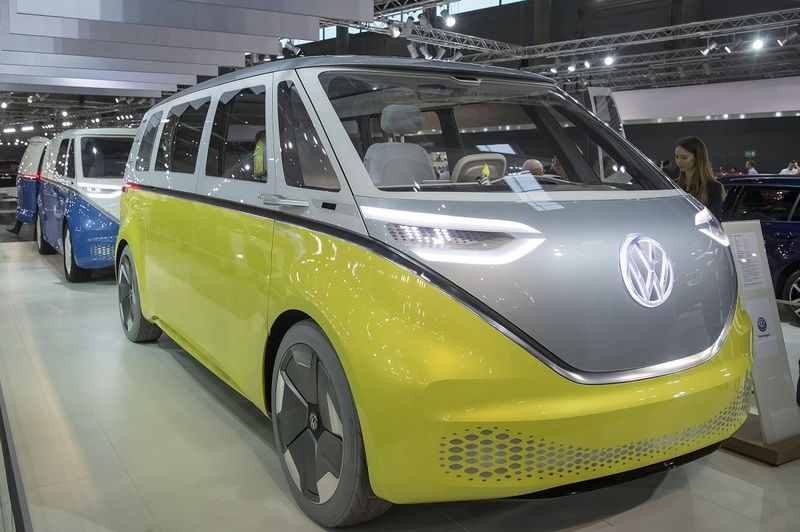 series is a family of all-electric battery-powered concept cars from Volkswagen (VW), built on the MEB platform (German: Modularer Elektrobaukasten) that is developed by the Volkswagen Group for a range of electric cars manufactured by its subsidiaries. Of that family, the Volkswagen I.D. Buzz was definitely the most special. With the possibility of autonomous driving function, the electric minivan with its futuristic look both inside and outside raised a long list of question among visitors.